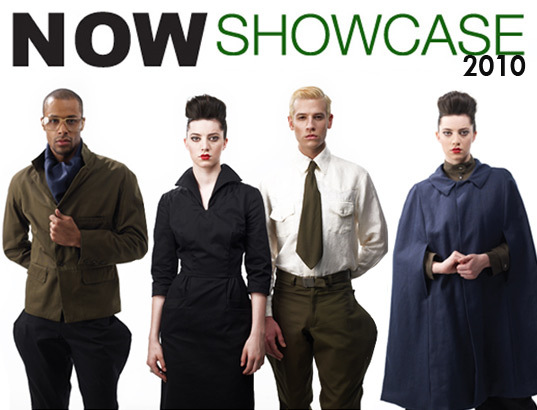 With New York Fashion Week only in a few weeks, we’re pleased to announce our media sponsorship of one of the most buzz-worthy eco-fashion events of the season: NOW Showcase, an emerging cooperative show with one of the best rosters of eco-conscious designers around, including SDN, Naturevsfuture, Jai Active Wear, Turk + Taylor, She-Bible, Sust, and Kelly Lane. We spoke with Raina Blyer of Ryann, along with Alice Wu and Moriah Carlson of Feral Childe to suss out why fashion lines need to collaborate instead of compete in this economic climate. With New York Fashion Week only in a few weeks, we're pleased to announce our media sponsorship of one of the most buzz-worthy eco-fashion events of the season: NOW Showcase, an emerging cooperative show with one of the best rosters of eco-conscious designers around, including SDN, Naturevsfuture, Jai Active Wear, Turk + Taylor, She-Bible, Sust, and Kelly Lane. We spoke with Raina Blyer of Ryann, along with Alice Wu and Moriah Carlson of Feral Childe to suss out why fashion lines need to collaborate instead of compete in this economic climate.